Do Your Lips Need a Mask? A foolproof way to ruin a perfectly wonderful lipstick application is to slather the shade on top of sad, flaky lips. There are scrubs sold in pretty little pots that promise to help, but more often than not, they’re messy and hard to clean off — plus, it’s hard to imagine using them daily. But now, a mask developed by Beverly Hills dermatologist Dr. Stuart Kaplan aims to make lip exfoliation a little less annoying. There are two steps in Dr. Kaplan’s Perfect Pout kit: a creamy mask and a clear, sticky balm, both of which smell like peppermint. To use, Dr. Kaplan suggests applying a generous helping of the mask first, and to spread it liberally all over your lips, including a half-inch above and below the lip line. With a concoction of exfoliating fruit enzymes, hydrating shea butter, and a host of organic extracts with unclear cosmetic benefits, the mask tingles at first, but doesn’t irritate or burn. After three to five minutes you remove the mask with a tissue (or rinse it off), and immediately apply the kit’s lip balm. The kit promises to conquer a list of maladies, like dry skin, fine lines, and flat lips, but its most rewarding benefit is delivering smooth, buttery lips. The effect is instant and noticeable as soon as the mask is (easily) wiped away: It very literally dissolved a mean, uneven layer of skin that had plagued my lips for the better part of a week. Though the kit’s lip balm is moisturizing and slightly glossy in its own right, I prefer to use it separately in the morning to make full use of the balm’s SPF 20, while employing the help of Fresh’s Advanced Lip Therapy treatment after using the mask at night. As a result, your lips will be smooth for days, bucking any need for the same daily attention as required by a scrub. But better yet, your lips will lend themselves as the perfect complement to any lipstick formula, no matter how gnarly the shade. 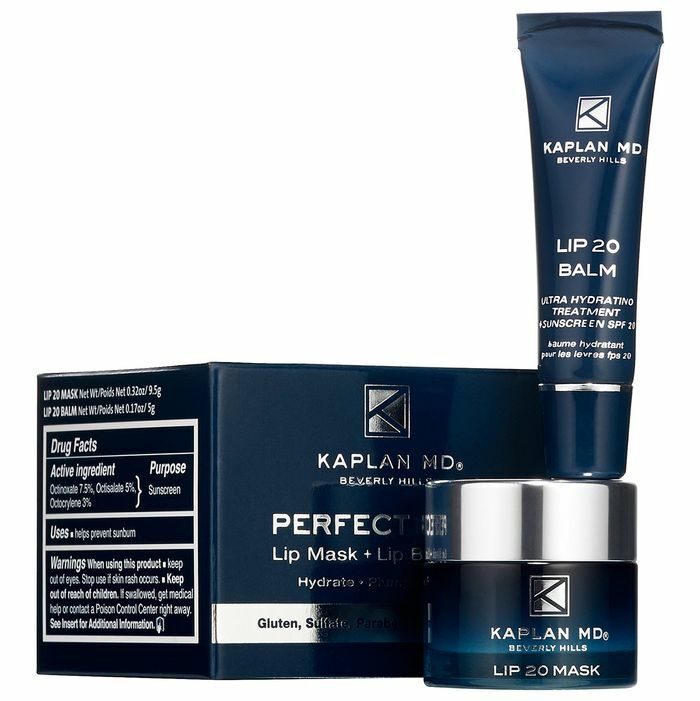 Kaplan MD Perfect Pout, $23 at Sephora.